Mr. Celery, Wilmington’s goofy vegetable mascot that storms out of the tunnel when the Blue Rocks score, received some extended rest on Wednesday night. Pete Ruiz was the reason why. Ruiz dealt seven brilliant scoreless innings, combining with newcomer Chris Martin on a five-hit shutout as Salem downed Wilmington 2-0. In becoming the first Red Sox starter to complete seven innings in 2011, Ruiz utilized an explosive fastball and a sensational curveball to keep the Rocks off balance. He threw 51 of his 82 pitches for strikes, pitching around baserunners in the odd-numbered innings while tossing perfect frames in the second, fourth, and sixth. The pitch count was mounting in the last of the seventh and the Blue Rocks put runners on second and third with one out, but Ruiz struck out Ryan Eigsti and induced a tapper to the mound by Gerard Hall to escape the threat. Wilmington starter Noel Arguelles was nearly as good, but his few mistakes cost him a couple runs. Against Ruiz on Wednesday, that was all it took. 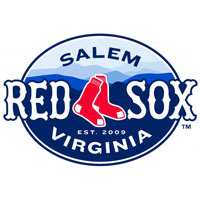 With the game scoreless in the fifth, Alex Valdez, also making his Salem debut, led off with a single, stole second, and moved to third when the throw soared into center field. Derrick Gibson picked up the second of his three hits by singling up the middle to bring Valdez home, breaking the scoreless draw and giving Salem a 1-0 edge. One frame later, cleanup hitter Bryce Brentz crushed an Arguelles fastball the opposite way, launching his fifth Carolina League homer over the wall in right-center. Brentz, who finished 2-4 with another deep fly that was caught at the fence, now possesses 16 homers between Greenville and Salem this season. Up 2-0, Ruiz pitched in and out of trouble in the seventh and handed the reins to Martin, who steered the Sox through two more scoreless frames to secure the victory. Flashing fastballs at 94 and 95 miles per hour, Martin, who just joined the Sox from Low-A Greenville, struck out a pair and pitched around two singles to pick up his first Carolina League save. Gibson led the Red Sox offense with three hits in three at-bats, including two doubles and an RBI. Brentz and Dan Butler each added two hits to help pace the Salem sticks. Ruiz improved to 4-3 with the victory, yielding just three hits and one walk over seven scintillating innings, including five strikeouts. In defeat, Arguelles allowed two runs on six hits in six and two-thirds innings, falling to 2-3 with the loss. The Red Sox will be gunning for their third straight win on Thursday in the middle-matchup of their three-game set in Wilmington. On paper, another great pitcher’s duel could be on tap, with two All-Stars, Chris Hernandez and Jake Odorizzi, set to square off at 7:05.